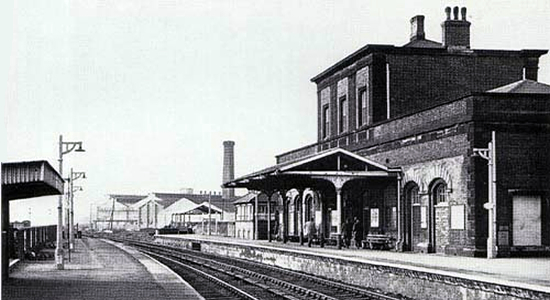 Wednesbury Central station opened in 1854 as 'Wednesbury' on the Birmingham Wolverhampton and Dudley Railway's line from Hockley to Bilston under the paternal guidance of the GWR under whose complete control the line would imminently become. 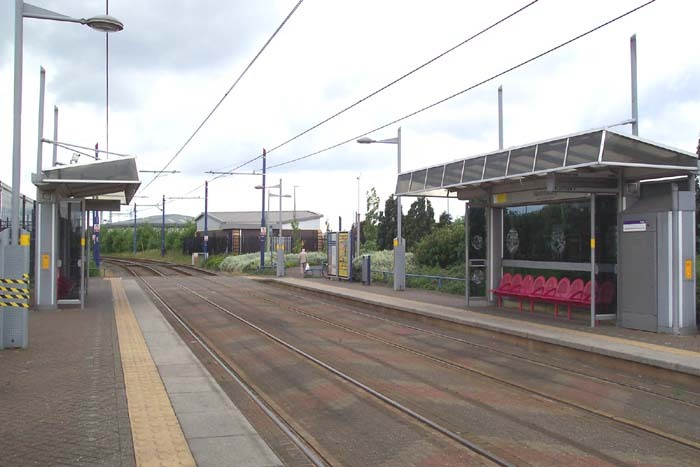 As with numerous areas within the region, until 1950 there were effectively two Wednesbury stations with the addition of 'Central' being made to this one and 'Town' appended to its LMS (although by then British Rail) counterpart a few hundred yards away. The station fared reasonable well outlasting many of the others in the area until finally succumbing to closure in 1972 along with the rest of the line from Snow Hill to Wolverhampton Low Level. Above we see the station in 1966 (photo: Andrew Muckley) with its rather austere architecture that, as Paul Collins points out in his British Rail Pictorial of the Black Country, is virtually a carbon copy of the station at West Bromwich: originality obviously was not the driving force behind the BWDR. The station was of significant size, however, and had its own goods yard and shed situated out of shot to the right of the photograph above. Unfortunately, of fortunately depending on your standpoint, the old station has been completely obliterated (all bar a section of low walling) as the site now houses the omnipresent industrial unit, Wednesbury Great Western Street Metro stop and on the site of the former goods yard/shed, the Midland Metro Wednesbury Depot. Above-left we are approaching the entrance to the Metro stop from Great Western Street. The old station building would have been to our left and the building to the right is the Metro 'shed'. 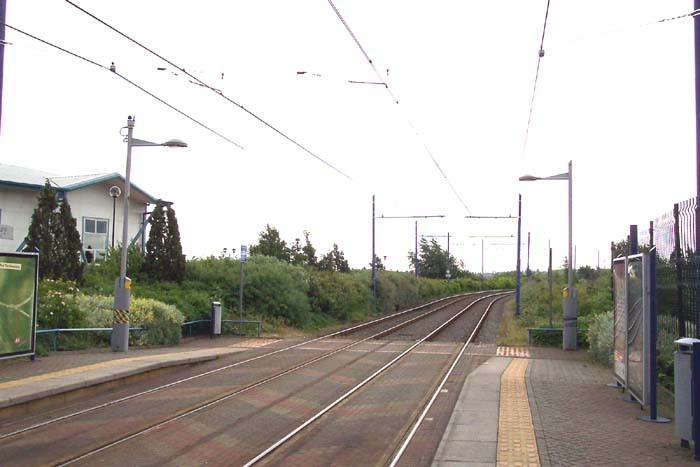 Above-right we have crossed the tracks and are standing on the Wolverhampton platform looking across to where the station building once stood on the Birmingham platform: I estimate that the point at which the photograph was taken is roughly opposite the site of the signal box shown at the end of the platform in the shot from Andrew Muckley. Above-left we are in the same spot as for the previous photograph but are looking in the direction of Birmingham along the tracks. Above-right we have moved to the other end of the Wolverhampton platform and are looking along the stop towards Wolverhampton. 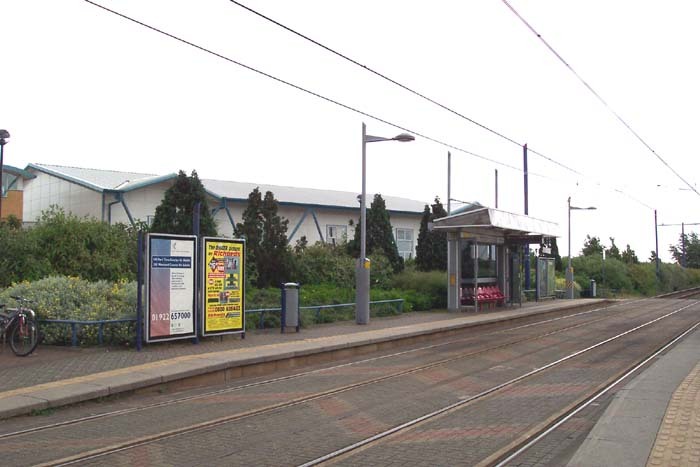 The entrance to the Metro stop can be seen to the right at the end of the Birmingham platform with the site of the old station building foreground-right. 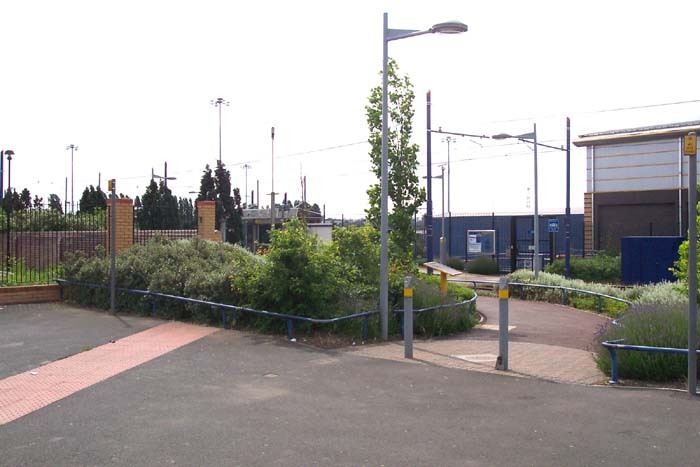 Not apparent in this photograph, but behind the Metro stop shelter on the Birmingham platform, and running along behind the hedgerow is a wall dating from the old station and appears to be the only standing sign of the station. 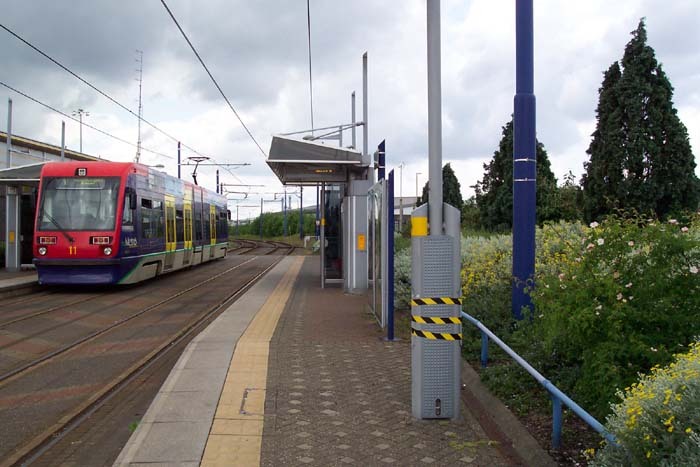 Above-left we are at the entrance to the Metro stop looking along the track towards Wolverhampton: in the distance you can just make-out the Wednesbury Parkway Metro stop and to the left is the Metro Depot an a T69 Tramcar moving along the line that connects the depot with the Metro line itself in between this stop and Parkway. Above-right we see T69 number 11 pausing to collect passengers for Wolverhampton (and also dropping-off a considerably large number of Metro workers who slip into the depot via a key-coded gate at the end of the Wolverhampton platform). 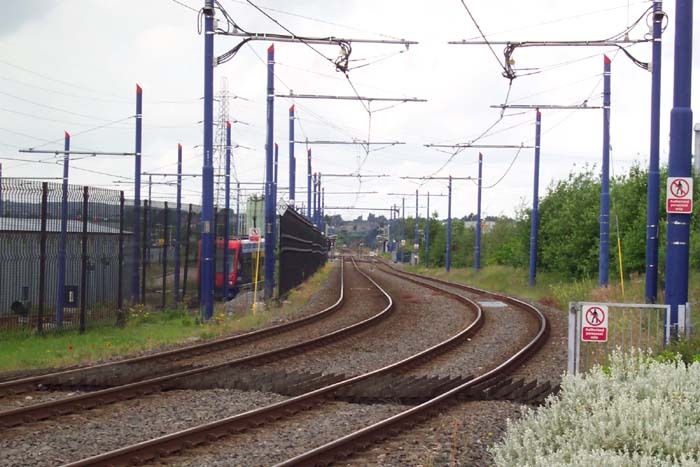 Incidentally, for a couple of shots of the Metro Depot, visit the 'Misc' page.